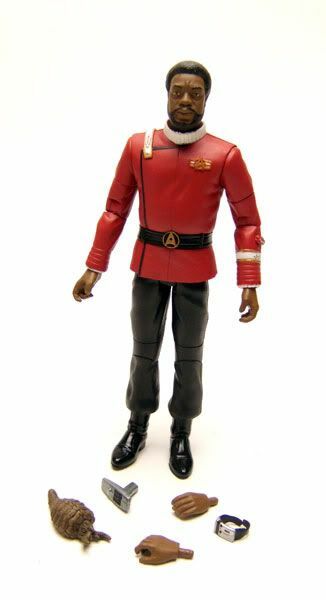 Captain Terrell was released carded as part of the first wave of Diamond Select's Star Trek II The Wrath Of Khan figures. The Rundown: Poor doomed Terrell...you had no idea what you were in for when you beamed down to Ceti Alpha V. Poor guy thought he was just checking out a planet for the Genesis experiment. 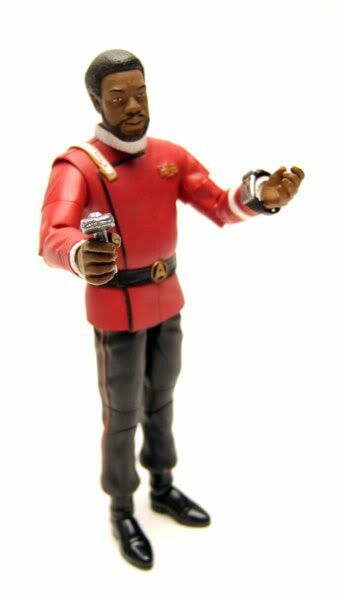 Instead he got swept along in Khan's plan for revenge against Kirk. Oh well...at least he gets a cool figure out of the deal! 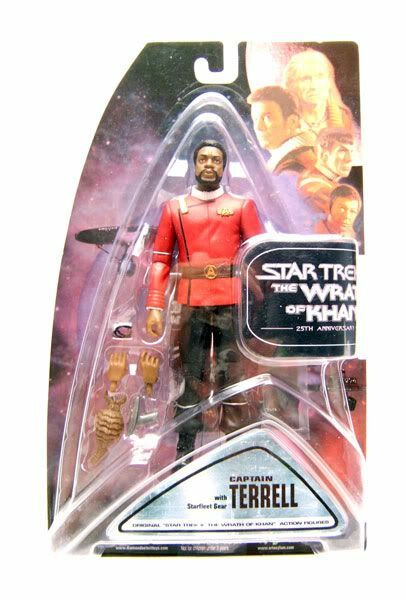 Terrell was quite the unexpected surprise when DST revealed their first wave of TWOK figures. Khan and Kirk were no-brainers...but Terrell? 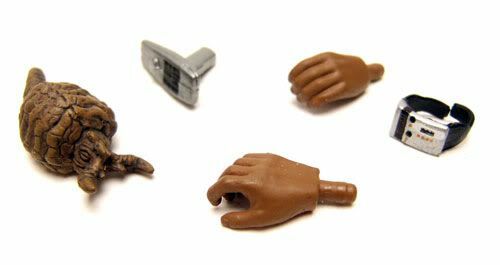 Sure, he was the 1 per case shortpacked figure of the bunch, but who woulda thought they'd do Terrell at all! Not only that, but they did a really great job on him too! 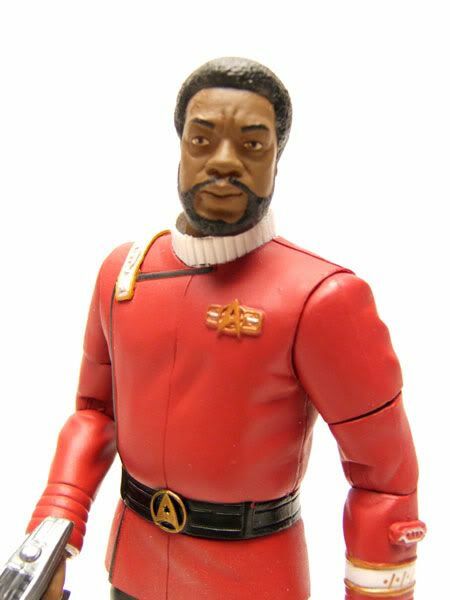 The head sculpt is phenomenal and is a dead ringer for Paul Winfield. The body sculpt is very nice too. I'm sure it was originally constructed with Scotty in mind, but it works great for Terrell too. Also, if you snag an extra Kirk and do a head switch, you get a really great Star Trek VI Captain Kirk (since by that point Kirk is a captain and is quite a bit 'fuller'). Overall, great figure that was a truly nice surprise! Accessories: Terrell comes loaded with stuff! 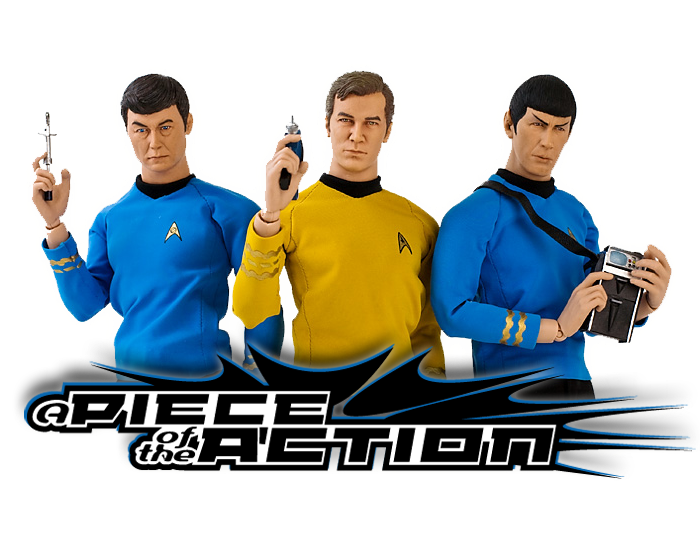 You get 2 extra hands, a wrist communicator, a phaser, and the incredibly well-done Ceti eel! 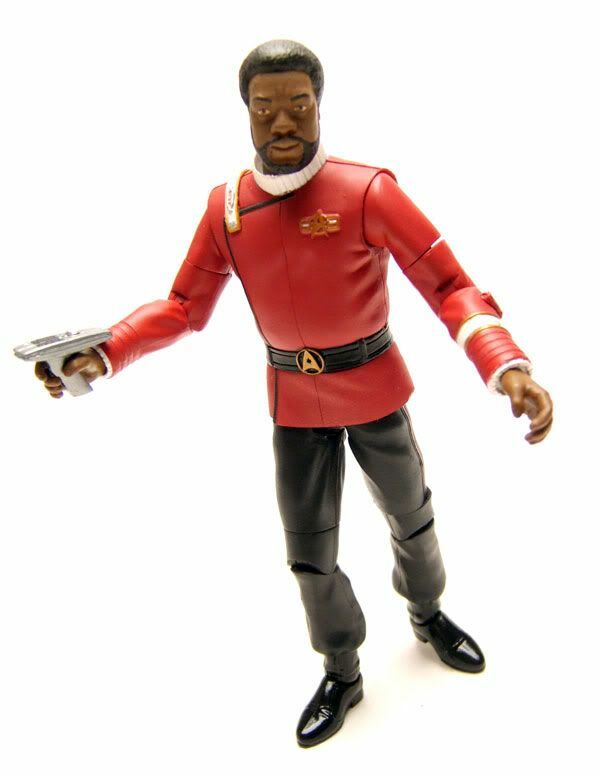 This is one of the first AA/DST Trek figures I bought, and it's great. If only I could get a hold of the WoK Khan.